"Famine" is a word that's rarely and cautiously used by the international aid community. It's reserved for describing the very gravest of human suffering. For the U.N. to declare "famine," a great many people must be dying of starvation. Hunger, even lots of it, isn't enough for an official declaration. We live in a world where there is an app for almost anything, yet we haven't mastered the most basic human requirement: to feed our own species. Last week, famine was declared for the country of South Sudan. An actual, real, famine, officially announced by the United Nations itself. The word "famine" conjures up images of eras gone by -- the Second World War II, or the Ethiopian famine of the 1980s -- but feels out of place now. Surely there can't be famine in 2017, with all the advancements we've made? In the case of South Sudan, 100,000 people are starving, while 42 per cent of the country (4.7 million people) are on the brink, with severe food shortages. A famine declaration is not the start of a tragedy, but the recognition that one is already underway. Adhieu Mapal, a mother in South Sudan, saw the warning signs back in 2015. She told World Vision staff how drought and floods had destroyed her family's crops, leaving them with nothing to eat. 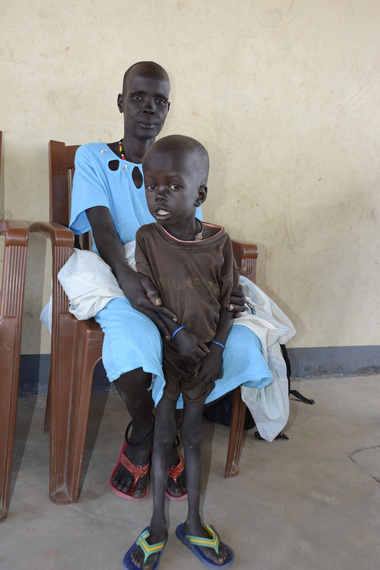 Adhieu's son became severely malnourished. Adhieu's family situation has become the norm. 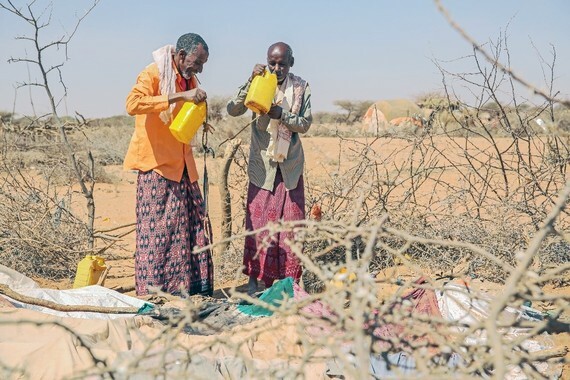 There are now 22 million people in East Africa facing severe food shortages. In Somalia, local farmers are on the move -- one man told World Vision staff that he walked more than 100 kilometres, but still can't find anything to eat. The difference between life in South Sudan and my situation in Toronto is vast. In Canada, for instance it's not unusual to scrape leftover food into the trash. And in fact, the combined food waste from industrialized places (like Toronto) equals roughly the net food production of sub-Saharan Africa. In the U.S. alone, 30 to 40 per cent of all food ends up in landfills! A school child could do the math: surely it's just a problem of distribution? Shouldn't we just take from where there is excess and redistribute to places that are lacking? If only that were the answer. The sad truth is that it's not. 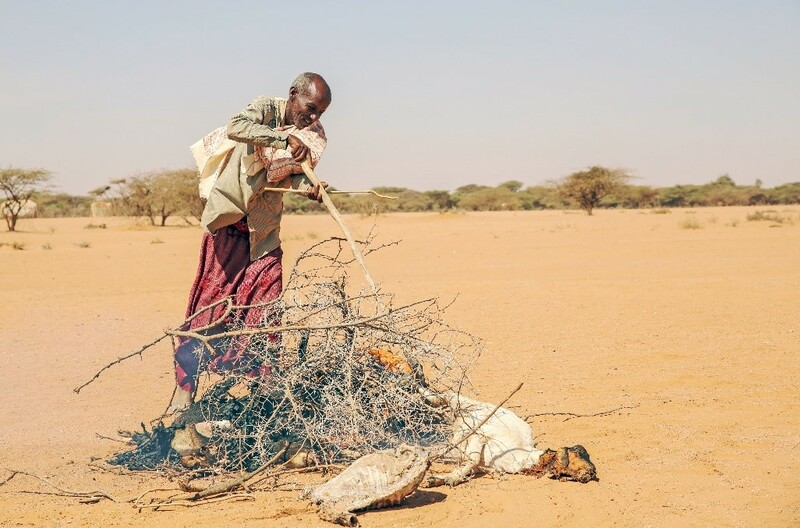 Famine might present as hunger, but it's not necessarily caused only by a lack of food. In the case of South Sudan crops have failed, while at the same time, conflict has driven people from their homes and farms. Individually, those factors might be a little simpler for governments and agencies to respond to. But together, they have joined forces to create the calamity of famine. a lack of donor commitment to invest in the future of a very young country. As aid responses ramp up, organizations like World Vision would almost be missing the point if we responded by only distributing food. Food assistance is vital, no question about it. But what happens in conjunction is critical, says World Vision's Lindsay Gladding. "In fragile places like South Sudan, World Vision provides life-saving interventions to save children's lives," explains Lindsay. "But we also support recovery efforts to help these communities return to relative stability, and provide programs to help them thrive." Discouraging as the famine declaration in South Sudan may be, we must not lose hope about what's possible. As director for Humanitarian and Emergency Affairs, Lindsay has seen and responded to numerous crises, though famines are a rarity. In responding to the South Sudanese crisis, she says, "we may take multiple approaches at the same time. We have to be incredibly agile and in tune with the changes that are happening on the ground." World Vision might respond to the needs in a community by providing emergency food assistance, while also training farmers in agricultural skills that are specific to drought conditions. We might also train community members to work in livelihoods of different kinds, so they can earn funds and hire workers. Discouraging as the famine declaration in South Sudan may be, we must not lose hope about what's possible. Canada is already funding something called the FEED project, in partnership with CARE and Oxfam. It works on several fronts at once, building the resilience of communities so they might not slip into famine again. FEED represents a hope for South Sudan. 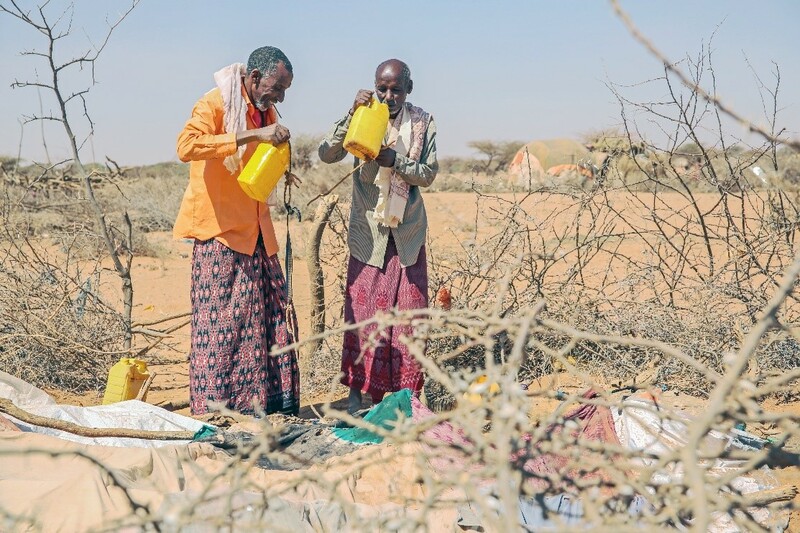 Right now, people need immediate emergency support but as World Vision continues to work with families affected by the protracted crisis, they will need longer lasting solutions. Help bring relief to South Sudan and other countries at risk of famine by donating to World Vision Canada's rawhope.ca today.